Adidas has left Under Armour in the dust. It's coming for Nike, too. The German sports brand has surged while its two biggest competitors continue to struggle. Adidas brand sales in North America are up 31% thanks to an emphasis on expanding and investing in the U.S. and more marketing aimed at women. Sales at Reebok, which is owned by Adidas, climbed 22% during that same period. It doesn't hurt that Adidas' Stan Smith sneakers, those recognizable white shoes named after the former tennis star, have been worn by nearly every streetstyle star and are majorly cool, again. Adidas (ADDYY) has roughly doubled its share of the U.S. footwear market recently. Its emphasis on North America is all part of the company's plan to become the top sports brand in the U.S.
Mark King, the president of Adidas North America, told CNNMoney in April that the company can't become the world's greatest without first winning in the U.S.
"We have more sports here," he said. "Trends, media attention, just overall hype around sports, the epicenter is America." While it's long been a dominant player internationally, Adidas struggled to gain a strong foothold in the U.S. and the rest of North America, according to King. That started to change about two years ago, according to Christopher Svezia, an analyst for Wedbush, a private financial services firm. At that time Adidas controlled about 5% of the U.S. market share. It now controls about 10%. "Adidas brought better innovation and marketing and invested a lot into North America," Svezia said. "At the same time Nike stagnated in terms of innovation and product prices got too high." Adidas still has a long way to go if it wants to get into Nike territory. Adidas reported about $1.3 billion in North American sales this quarter -- including sales from Reebok. Nike had $3.9 billion in sales for the quarter. Adidas' growth slowed by about 50% in the third quarter, down from around 17% to 8.7% growth. The stock declined slightly on the news. But Svezia said the company is still performing solidly. That growth was more than enough to keep it ahead of its competitors. Nike (NKE)'s sales in North America were down 3% and Under Armour (UA)'s were down 12% when they last reported earnings. Adidas has signed big-name athletes, like James Harden and Von Miller, and celebrities, like Karlie Kloss and Kanye West. It signed a new deal with Major League Soccer, endorsed eight first-round NFL Draft picks and became an official partner of the NHL. 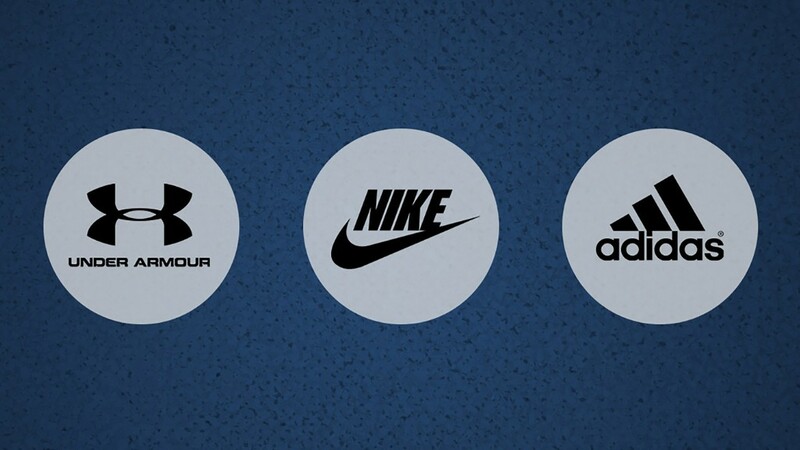 Its products have also been popular on social media -- feeds have been flooded with users wearing Adidas. "Customers started wanting more casual style and retro looks," Svezia said. Adidas is still expanding in the U.S. It recently launched a "speed factory," an automated manufacturing center, in Atlanta that helps the company make and distribute shoes during peak demand. On Wednesday, King announced plans for a new office in downtown Los Angeles as part of a company strategy to make an impact in key global cities. "Influential cities drive trends not only across the U.S., but around the world," King said in a statement about L.A. "It's a hub for entertainment, sport and fashion. It's home to some of the best teams and athletes in the world. It's right where we want to be."